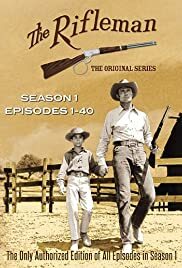 Lucas is ordered by a murderous town owner to lose a public shooting match, or he will kill his sharpshooting opponent and possibly harm his son Mark. A famous fast gunslinger comes looking for his old friend Lucas to help him retire in North Fork, but 3 gunman followed him and want his help to dominate the town. When he sees the face of a young man who is calling him out, Lucas experiences a shocking flashback to his civil war days. 21 of 21 people found this review helpful. Was this review helpful to you?